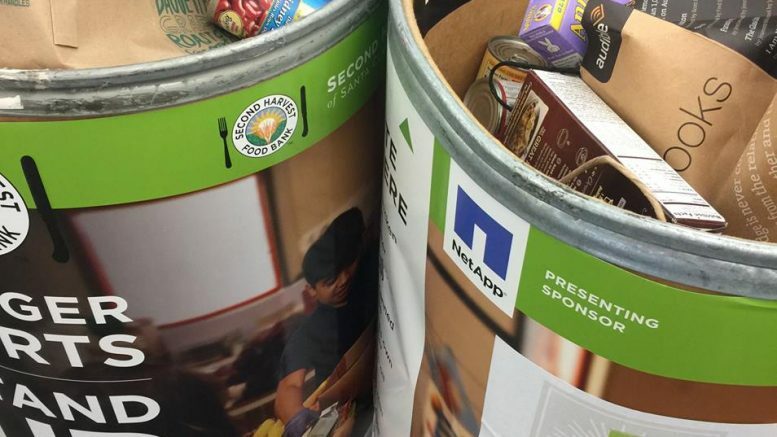 The Santa Clara County Library District and Second Harvest Food Bank‘s popular program, Food for Fines, is back until April 30. The foundation program allows those who make donation to have $100 in outstanding library fees and fines to be waived. Library patrons can bring non-perishable food donations to any county library or bookmobile to have their overdue fines and fees waived. They are encouraged to bring along any overdue library materials and have the lost item fee waived with their donation. Most needed food items include canned tuna, chicken, or salmon, peanut butter, canned soups, vegetables and fruit, olive or canola oil, spices, low-sugar whole grain cereals and nutritious snacks. Donate now to help the 1 in 4 people in Silicon Valley at risk of hunger. Be the first to comment on "Food for Fines returns until end of April"